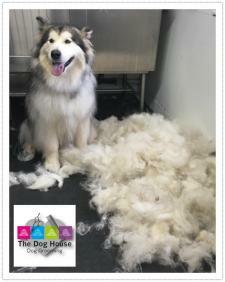 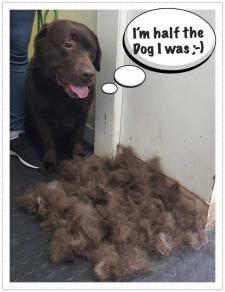 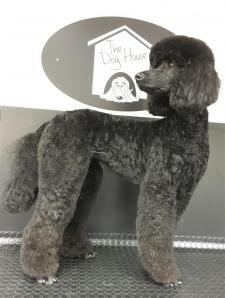 The Dog House is a team of passionate pet dog grooming professionals with true customer service & care at our heart. 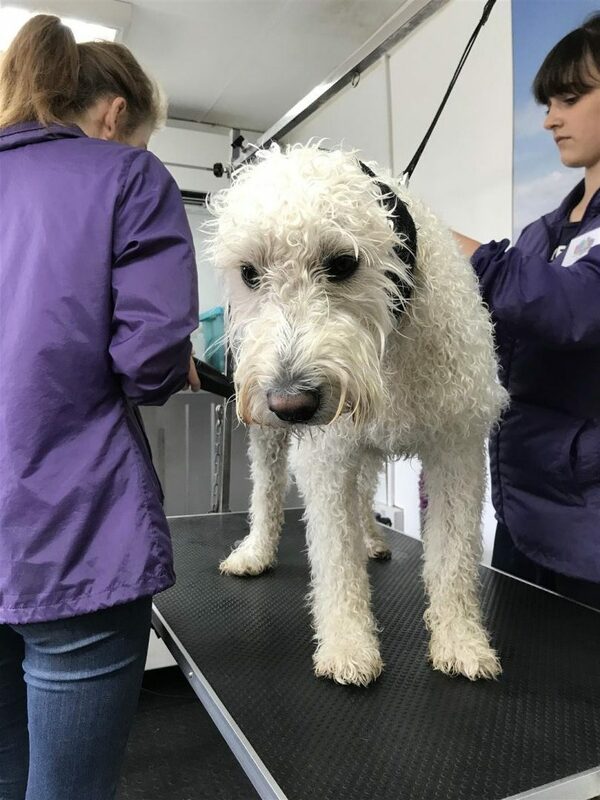 Located in Fakenham near the stunning North Norfolk coast we serve a wide range of customers, with many travelling from neighbouring cities, counties & beyond. 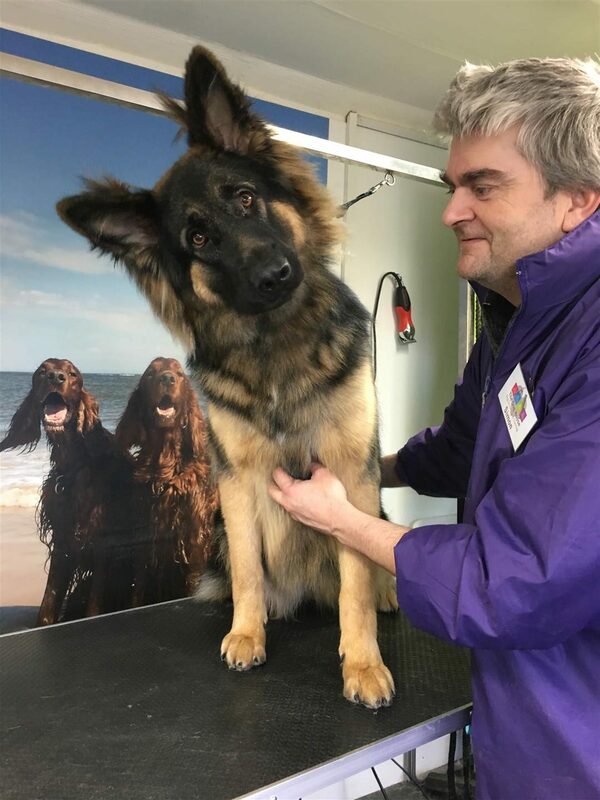 Reputation & recommendation lead them to us… we listen to what our customers want & work closely with them to build long lasting, trusting relationships. 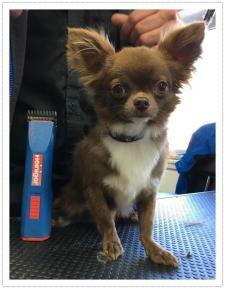 Working dogs, massive dogs, tiny dogs, show dogs…we love & groom them all! 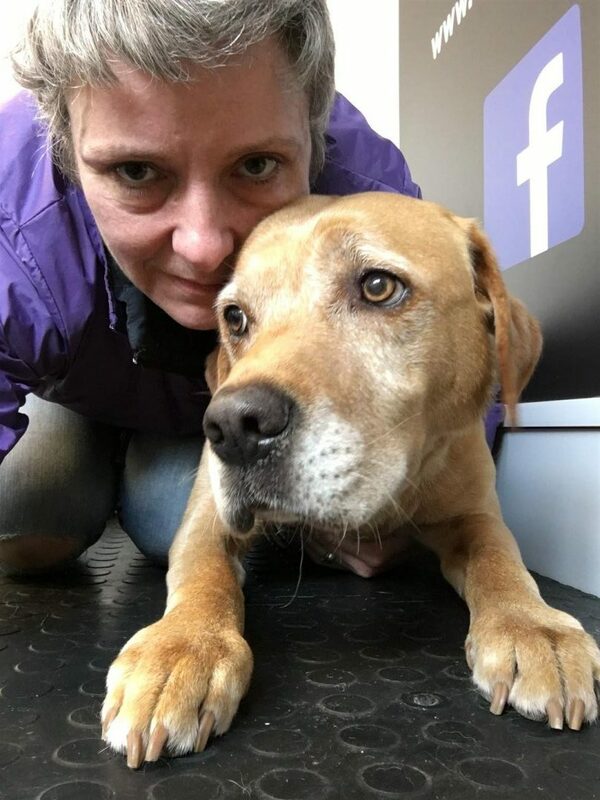 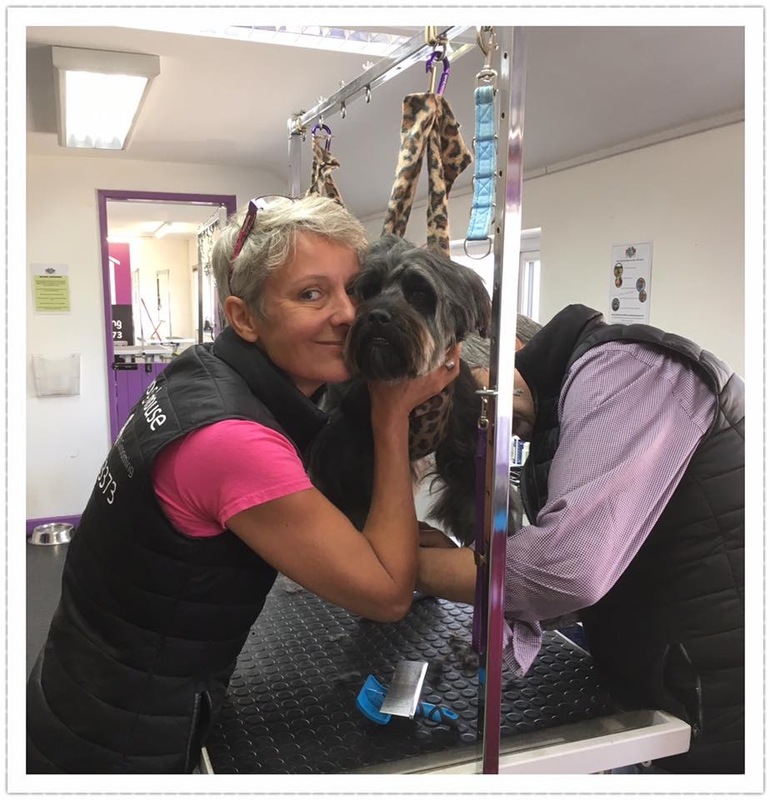 Having a fabulous team enables us to work 2 or 3 to a dog if required, for reassurance, support or to reduce the time of groom in the case of an elderly or lame dog which might struggle to stand. 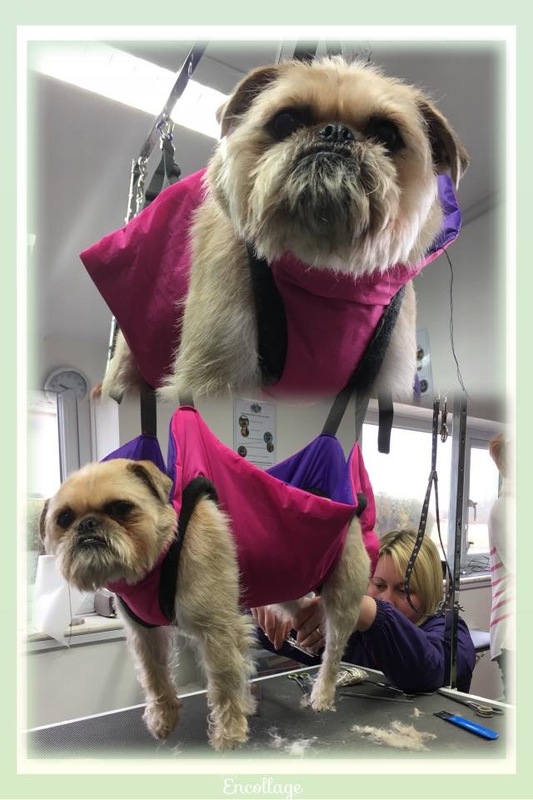 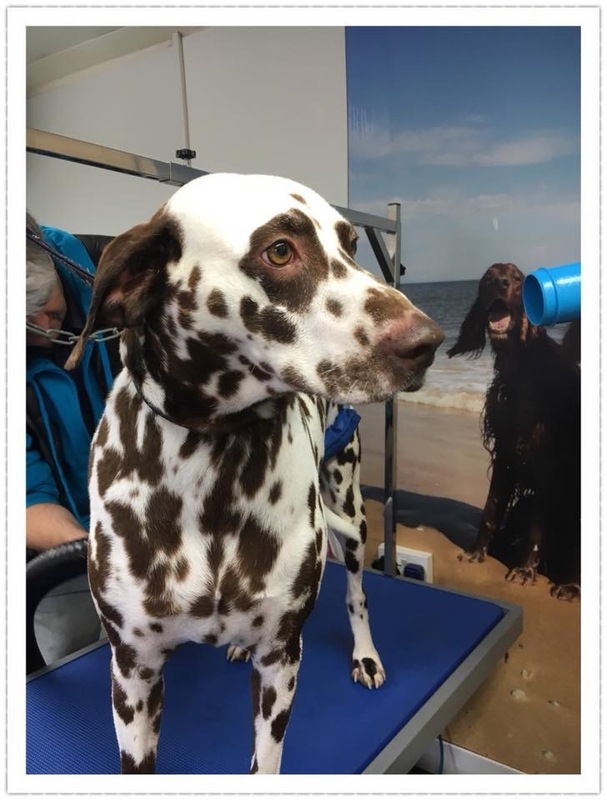 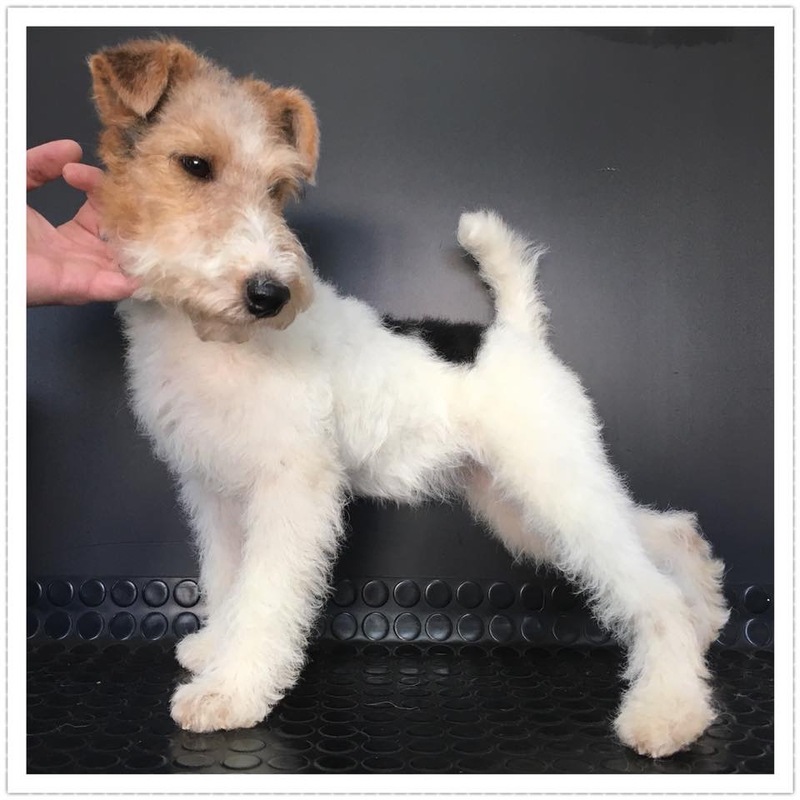 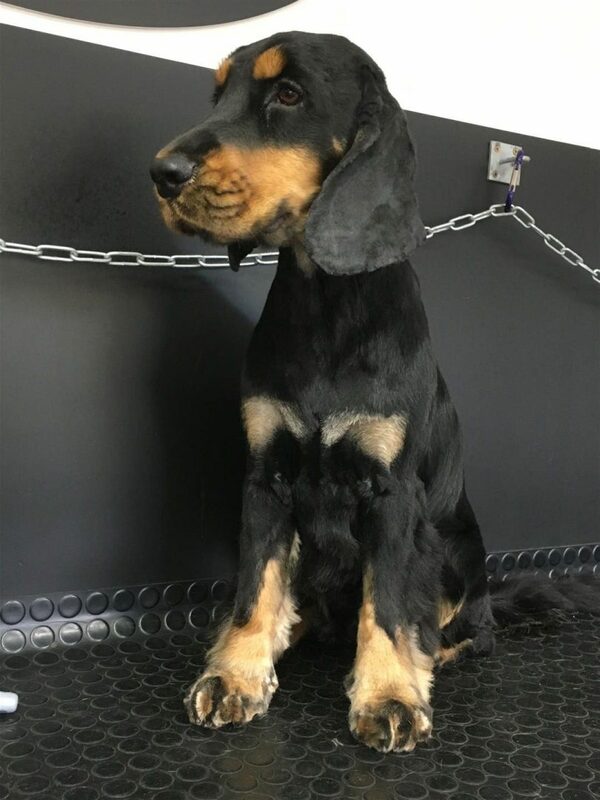 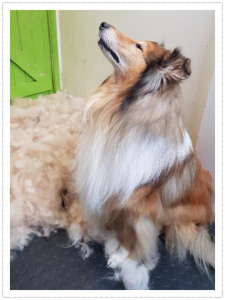 We are highly trained & experienced in Hand Stripping, both wire & silky coats & work with many customers in the process of rolling their dog’s coats for breed standard conformation, skin & coat health & for show. 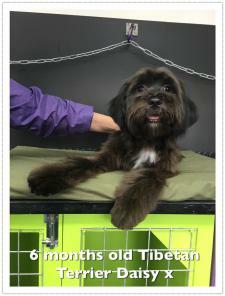 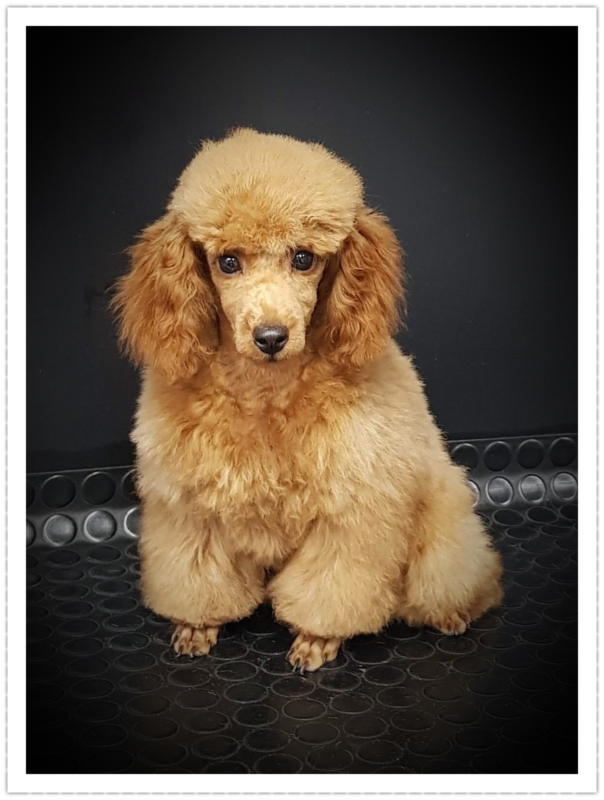 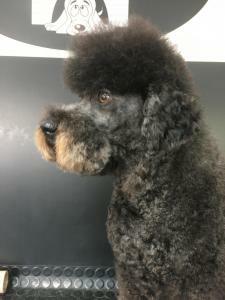 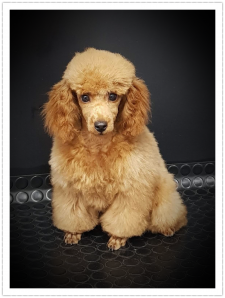 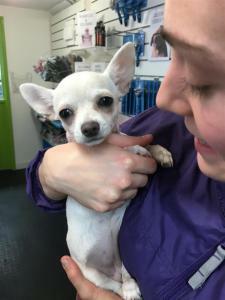 We specialise in handling techniques & work with many dogs & their owners that may have had negative grooming experiences elsewhere. 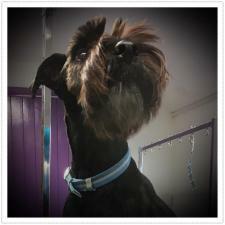 A fabulous groom is important to us but not if a dog is having to be excessively restrained or shows signs of real fear. 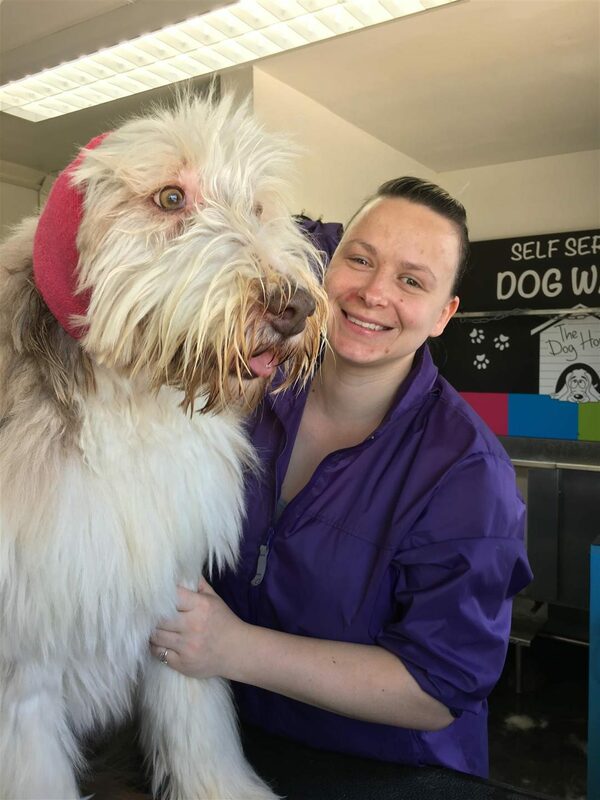 We take the time & patience necessary to bond & gain the trust of of all the dogs we are privileged to have entrusted to our care. 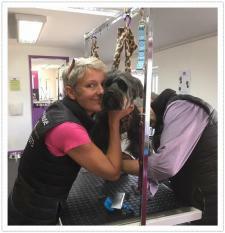 All team members have achieved or are studying towards their City & Guilds or OCN Level 2 & 3 Diplomas. I encourage their professional development at all times & we regularly attend professional grooming shows together & host several dog grooming seminars each year, inviting fellow groomers countrywide to attend. 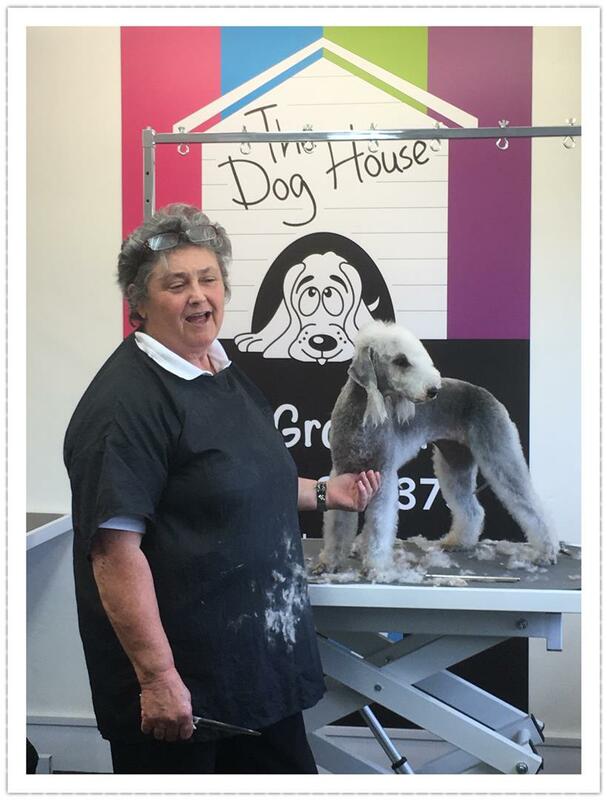 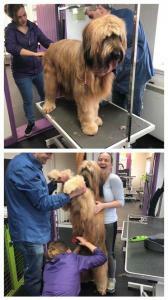 I am studying towards my Higher Diploma in Dog Grooming & Have recently gained my LCGI in professional dog grooming. 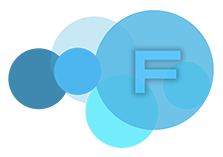 I have AET & TAQA qualifications in teaching & assessing and am soon to complete my IQA. The Dog House is also an approved OCN (West Midlands) centre and a City & Guilds satellite training centre with Summit Groomer Training Group. 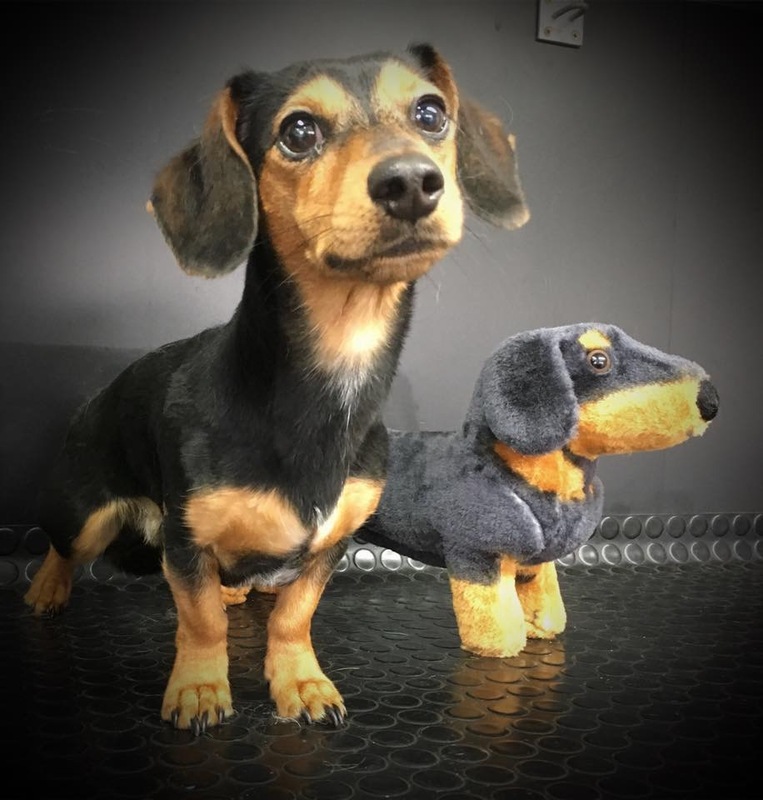 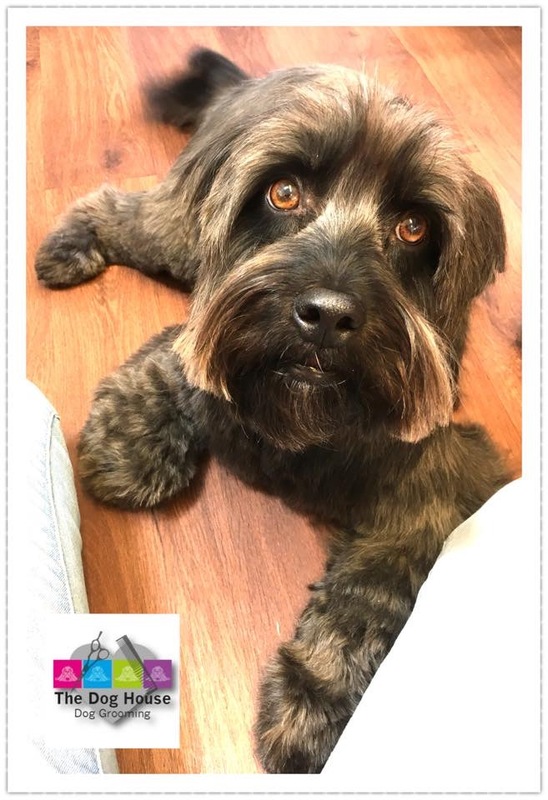 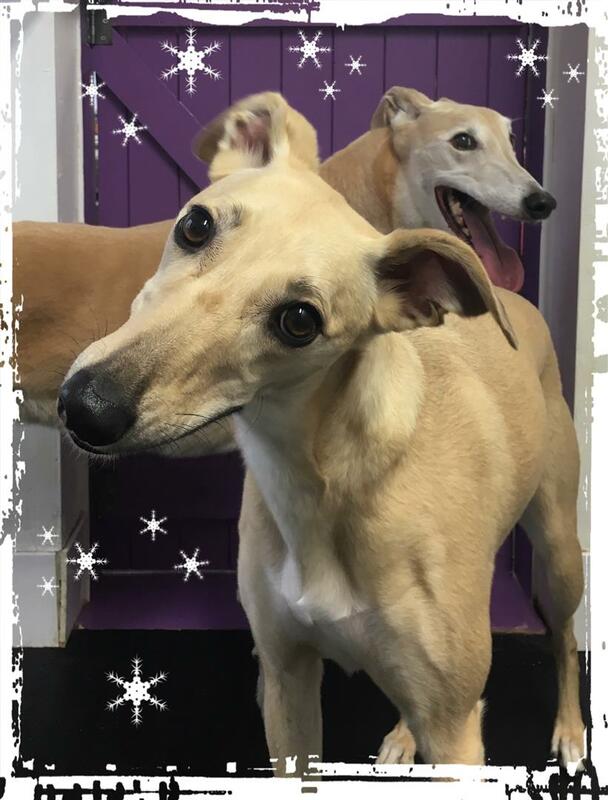 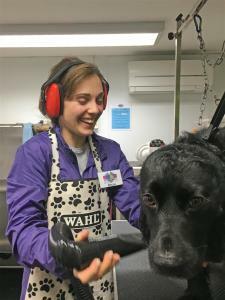 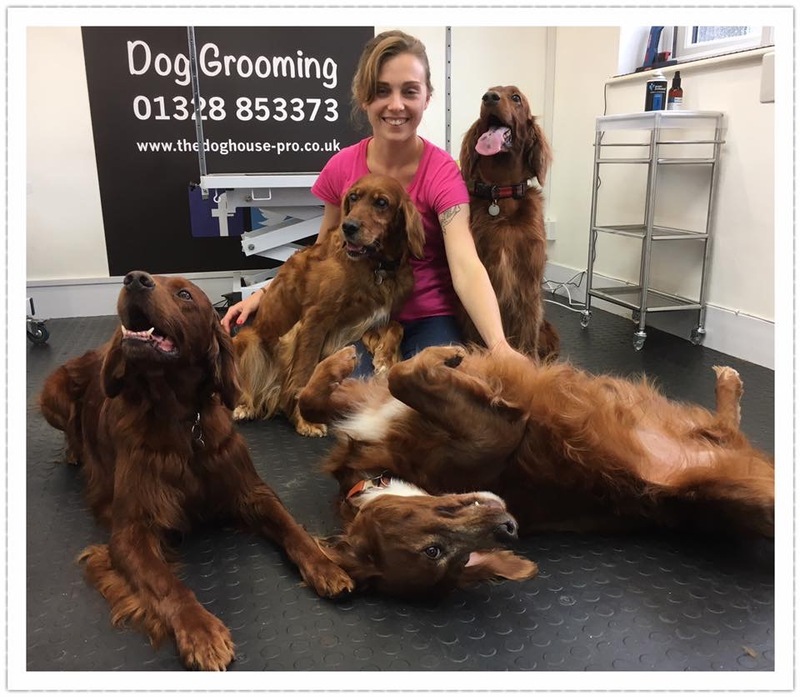 We offer very flexible professional training, with a small number of students working alongside our team in a real, day to day environment, learning all the skills & theory to become professionally qualified dog groomers. 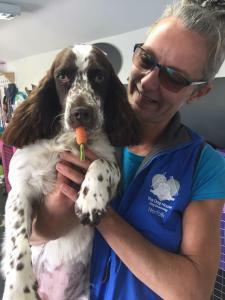 Again the safe & compassionate handing of the dogs is paramount to our training offer. Pippa and the staff at The Dog House are so professional, kind and considerate towards Jack, my elderly lurcher. 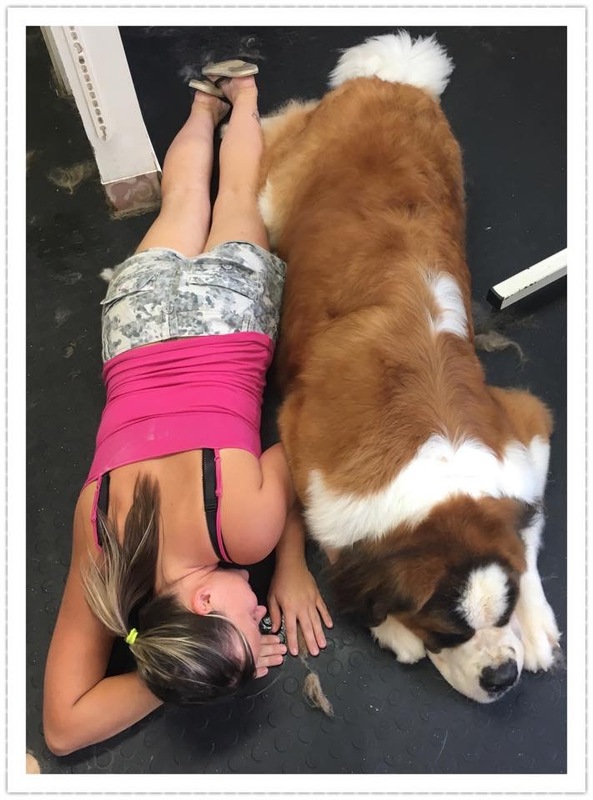 I love the way they put the dogs first and never rush the job. If Jack is stressed, they let him have a break, no matter how long it takes. 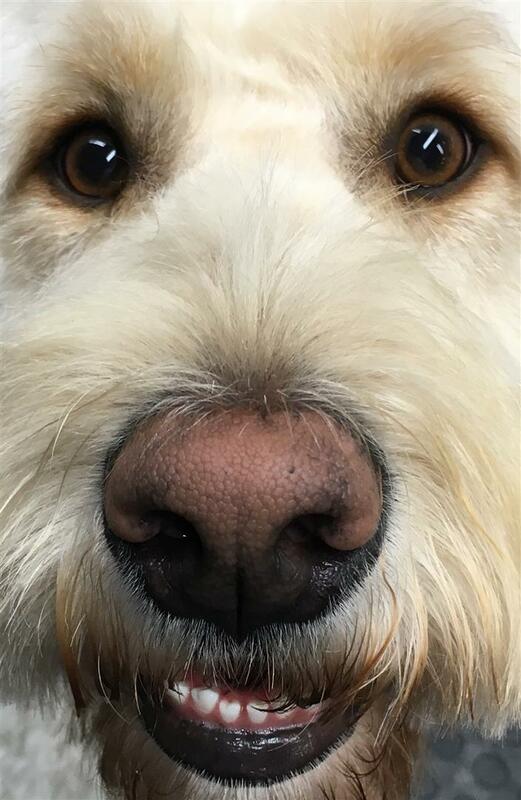 I wouldn't take him anywhere else. 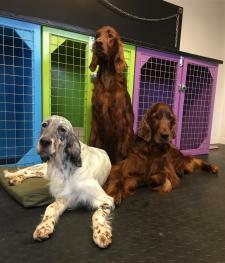 Pippa and her team are absolutely amazing. 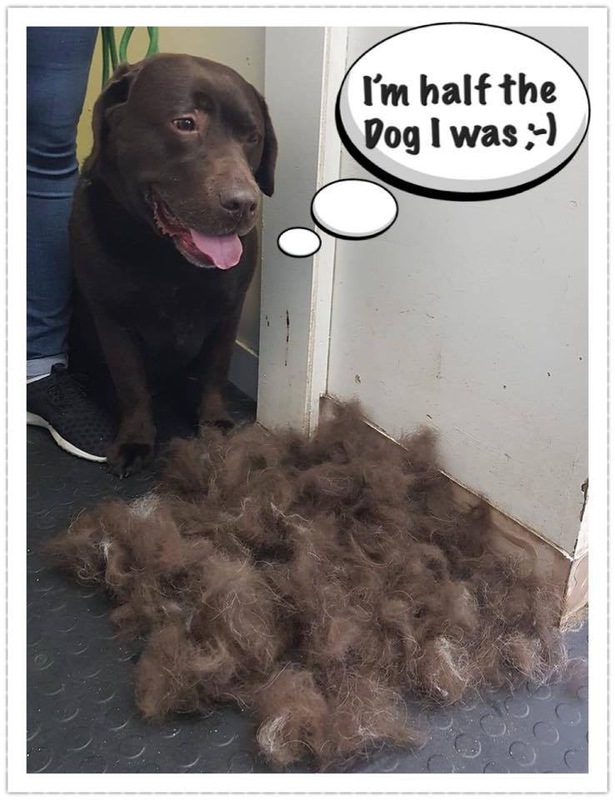 We would not even consider taking our fur babies anywhere else. 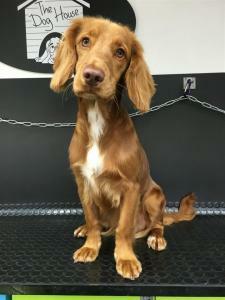 Pippa and her team have always made our Irish Setter Gypsy always welcome - she doesn't like many groomers but loves seeing Pippa.We book Gypsy in every time we head to Norfolk on holiday. Pippa and the team always do a good job, they do as you ask unlike some groomers that seem to do as they seem fit. 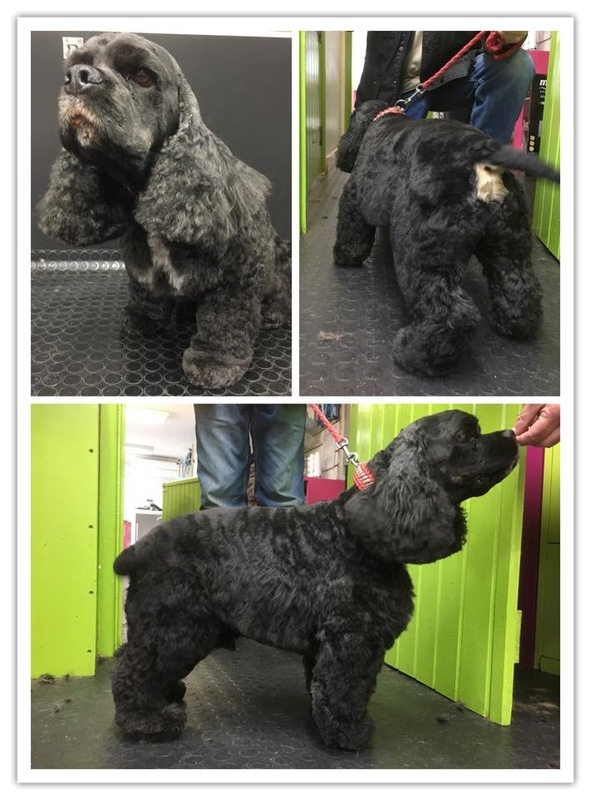 My two boisterous cockers have been going to The Dog House since their first groom as pups. 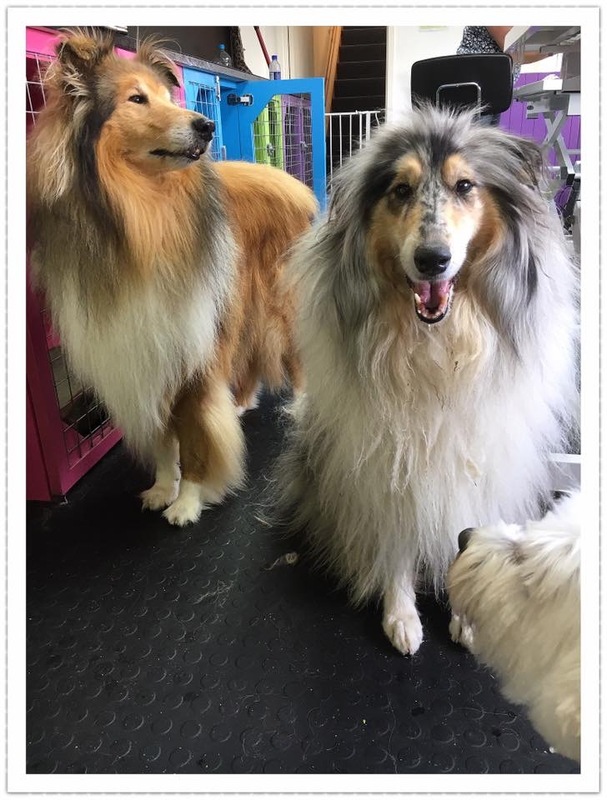 They’ve gone from spending the day to now being done in half a day. 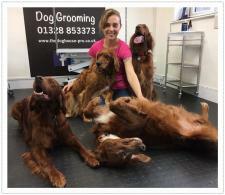 This is down to the fab team and the marvellous way they handle all the dogs in their care. 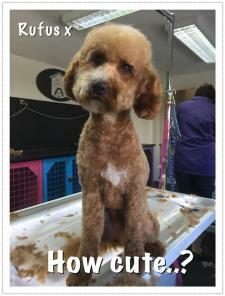 Always interested in your dogs and always ask what you would like grooming wise. 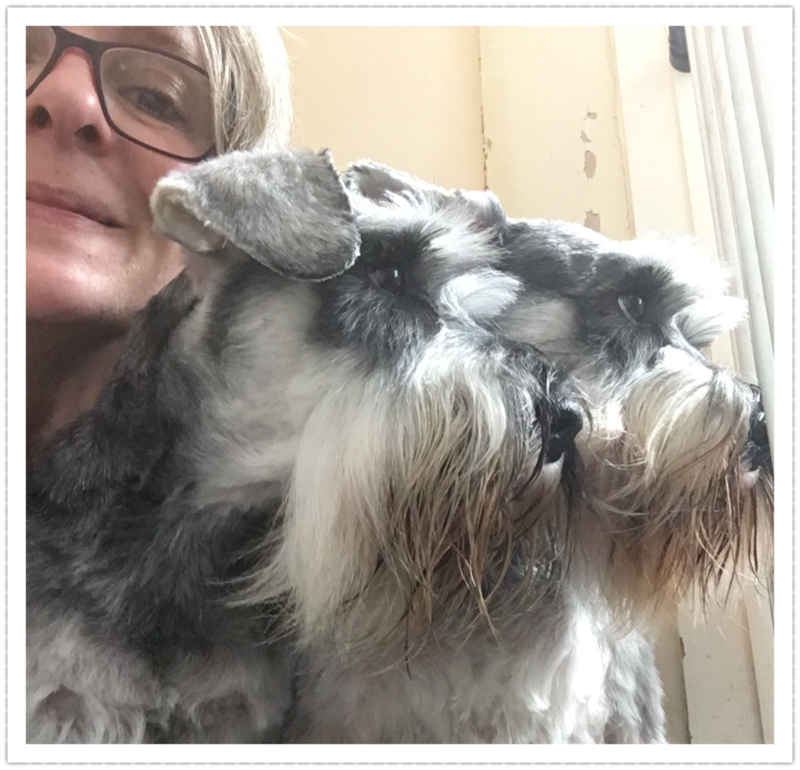 My two have had various styles - all of which have been fantastic. I have two Bichon Frise, brother and sister, and can honestly say that that they have never had such a perfect groom since finding Pippa and her team. 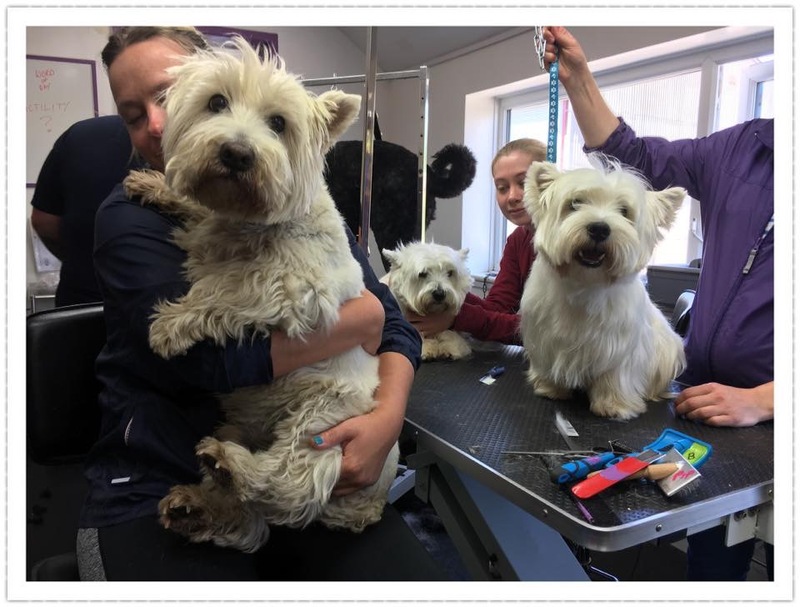 W3 have been going to The Dog House for three years now and each time both my pooches have come back relaxed, happy and beautifully groomed. Thank you all. My cross breed dog jasper is such a stressed little thing, but Pippa and the team are wonderful with him, they take good care of him. 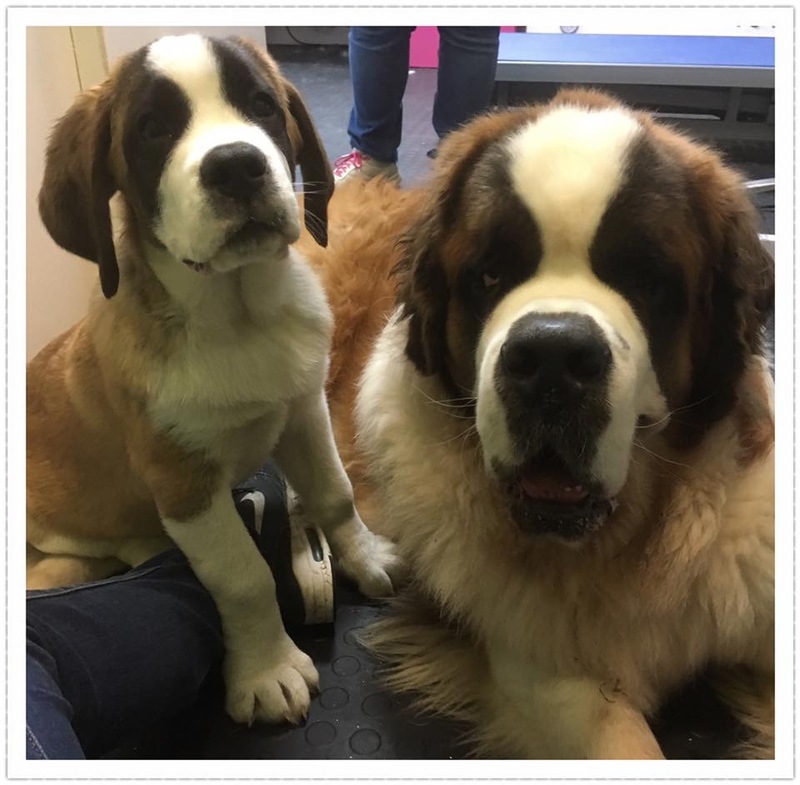 We have been going there four years now, and have the next appointment booked in February. All I can say is thank you to them all. Pippa is a fantastic groomer with a great team too. My Welsh Terrier puppy , Wynnie , loves to visit for a professional hand strip and cuddles. 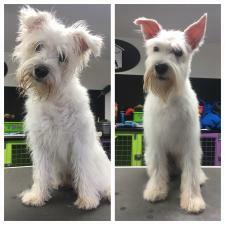 Peppa is an amazing groomer. 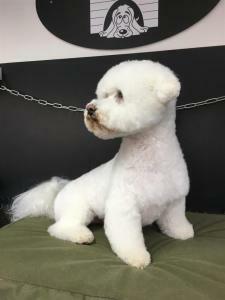 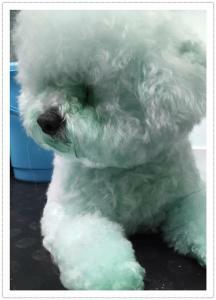 She hand cuts our Coton De Tulear Poodle cross. 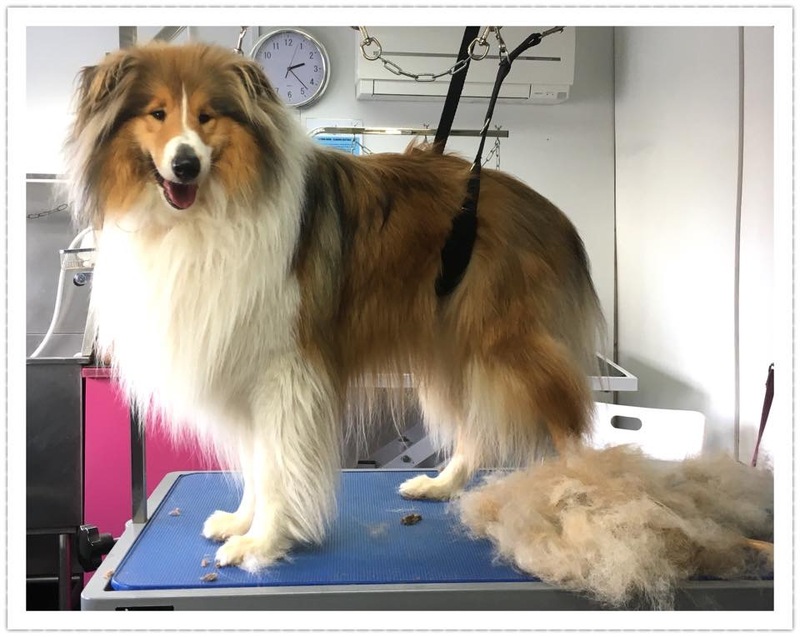 Amazing results on an unusual coat. 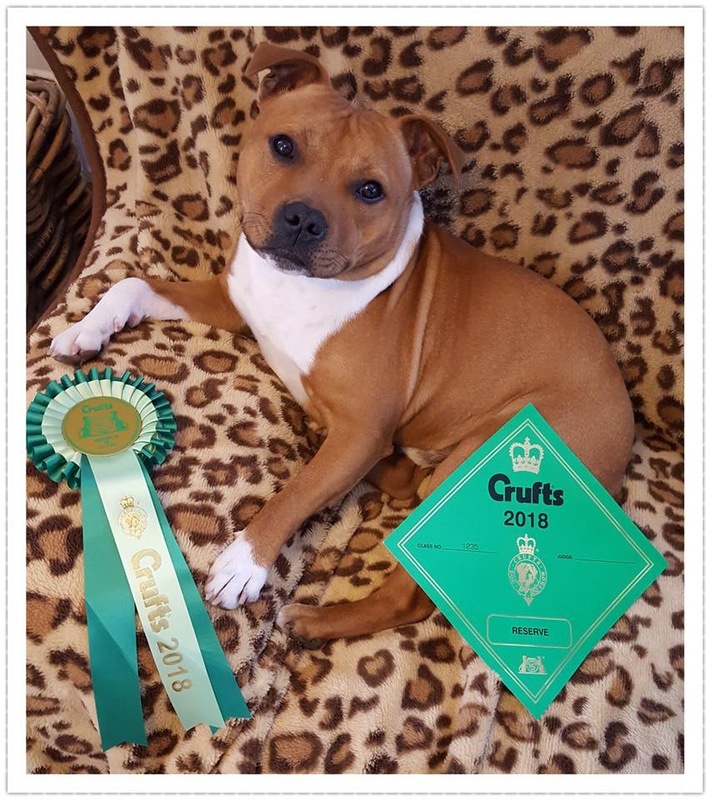 Our Jamie loves her and that says it all! 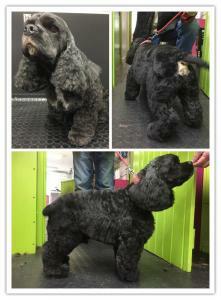 Pippa and her lovely team have groomed two of my dogs. My very special shih tzu called Oscar who was very nervous and had a tendency to bite when afraid and my very lovely jrt cross who loves everyone. 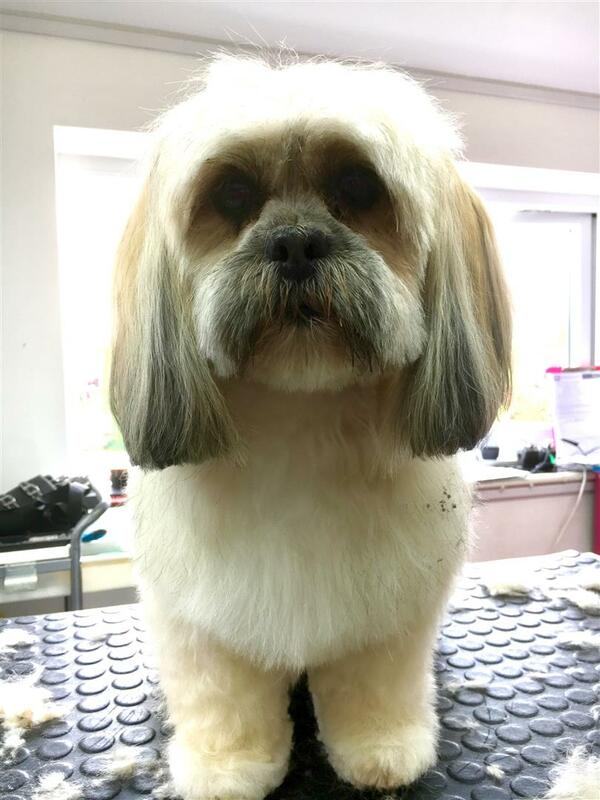 I was so impressed, amazed in fact, at the groom they managed on Oscar when they saw him, no other groomer had ever managed to get such a lovely groom completed before giving up. 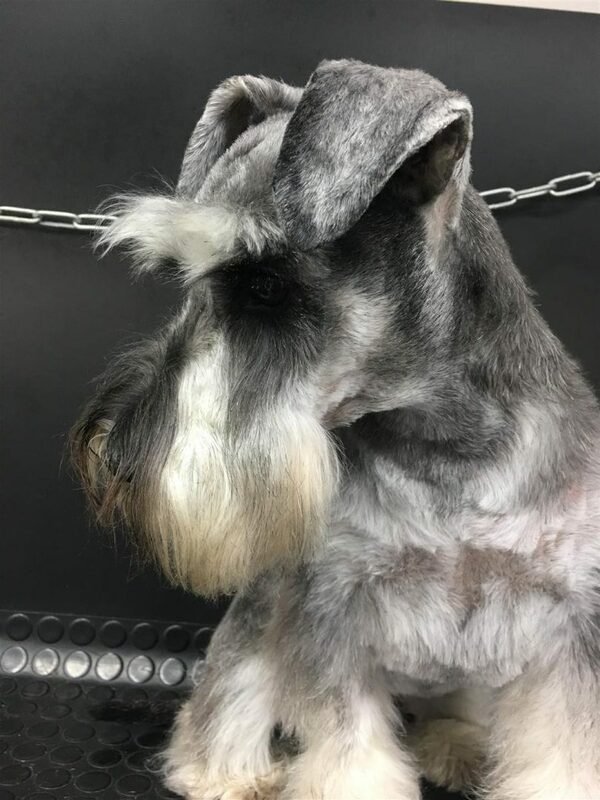 I cannot stress enough how impressed I have been with this team and I highly recommend them to anyone looking for someone to beautify their best friend.